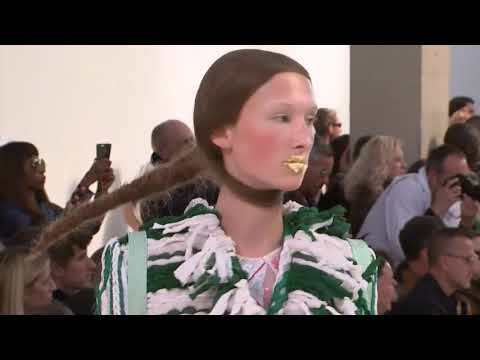 PARIS (AP) — Thom Browne provided the biggest spectacle on a relatively quiet day at Paris Fashion Week as some fashion houses decided to switch presentation dates or showing times to avoid Saturday's yellow vest protesters who took to the streets in the French capital and beyond. Here are some highlights of the day's fall-winter menswear shows in Paris. MILAN (AP) — To stay on trend, Italian fashion houses are refashioning themselves for future growth. Luxury label Ermenegildo Zegna, which opens fall and winter menswear previews at Milan Fashion Week on Friday, made its first move to expand abroad with the Zegna Group's summer acquisition of American brand Thom Browne. The Gianni Versace house's entrance into the group owned by American designer Michael Kors, Capri Holdings Limited, was finalized last week. CLEVELAND, Ohio – No one is demonstrating the shift into cleaner, more fitted styles in menswear than the Cleveland Cavaliers. Led by LeBron James, the Cavs reveal some unexpected trends as they arrive at their road games during the playoffs. They're wearing matching gray, made-to measure suits and accessories by designer Thom Browne and they look as unified as a team can be. INDIANAPOLIS (AP) — LeBron James and his Cleveland Cavaliers teammates arrived in style Friday. NEW YORK (AP) — Twice a year, New York's Fashion Week crowds have crammed into the lobby of a Chelsea gallery, waiting patiently to descend a staircase and see what bizarre, fantastical, endlessly inventive universe Thom Browne has created for his womenswear show — an otherworldly experience akin to getting lost on the set of a Tim Burton film. NEW YORK (AP) — The final day of New York Fashion Week was marked by the sound of silence from Marc Jacobs, who presented a show with no set, no lighting and no soundtrack. Elsewhere, Hillary Clinton was on hand to honor her late friend Oscar de la Renta. A night earlier, Marchesa looked to Asia for inspiration, and Thom Browne created a winter wonderland in flannels and tweed. NEW YORK (AP) — New York Fashion Week heads into the final stretch Tuesday with plenty of big designers to come. It was DKNY's turn Monday, along with Zac Posen, Thom Browne and others. The fresh design team at DKNY focused on the future with a bolder collection than the legacy looks of yore by Donna Karan, and Posen spoke in garden shades and prints, putting a contemporary edge on classic cocktail and evening looks with technical fabrics, embroidery and beads.